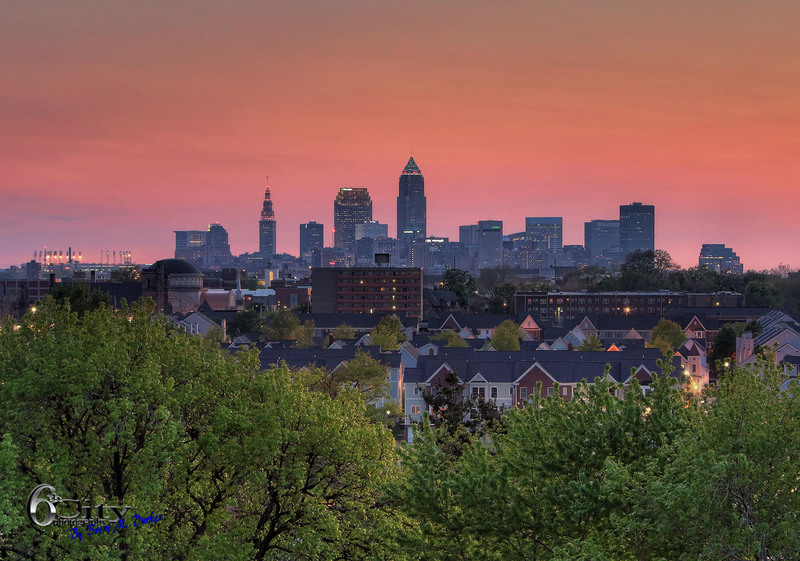 A shot of the Downtown Cleveland skyline overlooking the East Side neighborhoods of Cleveland just after sunset on a warm summer evening. The rooftops of the Hough and Fairfax neighborhoods can be seen in the foreground. Panoramic view of the Cleveland Skyline from Voinovich Bicentennial Park in the North Coast Harbor. More than 25 years ago, leaders in the music industry joined together to establish the Rock and Roll Hall of Fame Foundation in New York City to celebrate the music and musicians that changed the world. With that, one of the Foundation’s many functions is to recognize the contributions of those who have had a significant impact on the evolution, development and perpetuation of rock and roll by inducting them into the Hall of Fame. 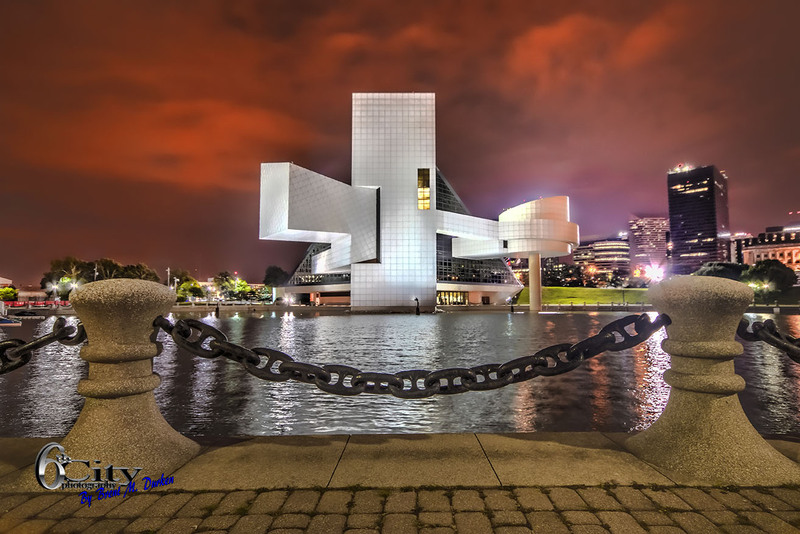 The Rock and Roll Hall of Fame and Museum opened its doors in 1995 on the shores of Lake Erie in downtown Cleveland, Ohio. The Rock and Roll Hall of Fame and Museum, Inc. is a nonprofit organization that exists to engage, teach and inspire through the power of rock and roll. It carries out this mission through its operation of a world-class museum that collects, preserves, exhibits and interprets this art form and through its library and archives as well as its educational programs. Officials from Cleveland and the state of Ohio approached the Foundation in 1985 and suggested the construction of a major museum. “We originally planned to purchase a brownstone in New York City in which to house the Hall of Fame, as well as an archive, library and museum,” said Suzan Evans. In November, the city sent a delegation to New York. As the Foundation considered the offer, several other cities, including New York, Philadelphia, New Orleans, San Francisco, Memphis and Chicago, also made offers. The board members visited each city and were greeted with police escorts, public rallies and marching bands. The first induction dinner was held at New York’s Waldorf-Astoria Hotel in January 1986. Inductees include Chuck Berry, James Brown, Ray Charles, Sam Cooke, Fats Domino, the Everly Brothers, Buddy Holly, Jerry Lee Lewis, Elvis Presley and Little Richard. Robert Johnson, Jimmie Rodgers and Jimmy Yancey were honored as early influences. The first non-performers honored were producer Sam Phillips and disc jockey Alan Freed. Talent scout/producer John Hammond was recognized with a Lifetime Achievement award. Meanwhile, Cleveland ranked first in a public poll conducted by USA Today asking where the Hall of Fame should be located. After much competition and many visits to potential sites by Foundation members, Cleveland is chosen as the permanent home for the Rock and Roll Hall of Fame and Museum in May of 1986. Following an extensive search throughout 1987, world-renowned architect I.M. Pei was chosen to design the Museum. Pei had a lot of learning to do. “I didn’t know a thing about rock and roll,” he confessed. Not to be discouraged the board members took Pei on trips to Memphis and New Orleans and to concerts in New York. “We heard a lot of music, and I finally got it: rock and roll is about energy,” said Pei. He accepted the challenge of designing the world’s first museum dedicated to rock and roll. 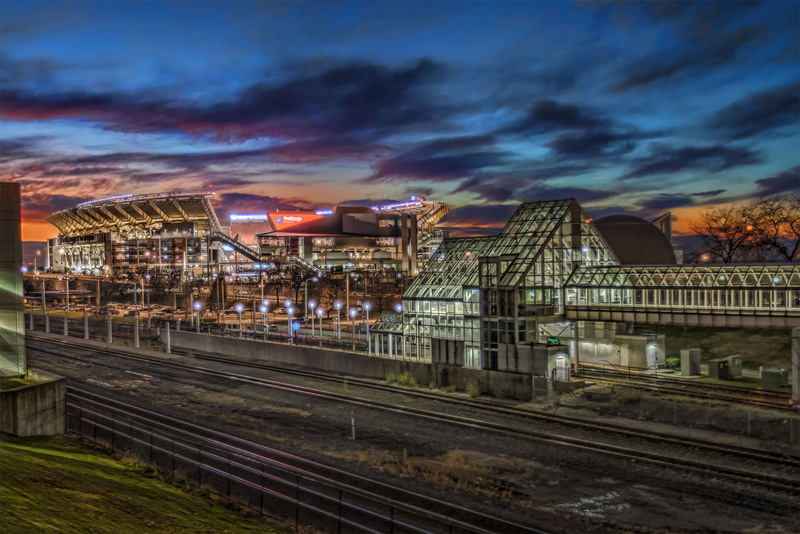 On June 7, 1993, ground was broken for the Museum in Cleveland. On hand were I.M. Pei and various board members, including Ahmet Ertegun, Suzan Evans and Jann Wenner. Inductees and other artists present at the ceremony included Pete Townshend, Chuck Berry, Billy Joel, Sam Phillips, Ruth Brown, Sam Moore of Sam and Dave, Carl Gardner of the Coasters and Dave Pirner of Soul Asylum. A year later, under a hot summer sun and Ruby, a larger-than-life inflatable from the Rolling Stones’ Steel Wheels tour, the Museum was topped off with the last steel beam in its structure. First-year inductee Jerry Lee Lewis, as well as several Cleveland musicians, performed for a crowd that includes Pei, Wenner, Evans and Ertegun. On October 13, 1994, Yoko Ono presented a major collection of John Lennon artifacts to the Museum. The collection included lyrics, Lennon’s guitar from the 1965 Beatles concert at Shea Stadium, a pair of eyeglasses and the leather jacket Lennon wore while in Hamburg. In September of 1995 and after 12 years in the making, the Rock and Roll Hall of Fame and Museum opened with a full schedule of events. On the first day, September 1, the celebration began with a playful parade through the streets of Cleveland, followed by a ribbon-cutting ceremony in front of the Museum. Present for the ceremony were Pei, Ertegun, Wenner, Evans, Ohio Governor George Voinovich, Cleveland Mayor Michael White, Little Richard and Yoko Ono, as well as press from around the world. A gala private dinner attended by board members, celebrities and many Cleveland residents ended the evening in grand style. The Museum officially opened to the public on Saturday, September 2, which kicked off with a ceremony presenting the Ahmet M. Ertegun Exhibition Hall, the Museum’s main exhibit space named in recognition of the founder of the Rock and Roll Hall of Fame. The evening culminated with a benefit concert at Cleveland Municipal Stadium. An incredible roster of the rock and roll greats performed– Chuck Berry, Bob Dylan, Al Green, Jerry Lee Lewis, Aretha Franklin, Johnny Cash, the Pretenders, John Fogerty, Lou Reed, Iggy Pop, George Clinton, the Kinks, John Mellencamp, Bruce Springsteen, Booker T. and the MGs, Eric Burdon and Martha Reeves. Since the Museum’s opening, the Rock and Roll Hall of Fame and Museum has welcomed nearly eight million visitors from around the world and reaches more than 50,000 students and educators each year through its education programs on site and at great distances. 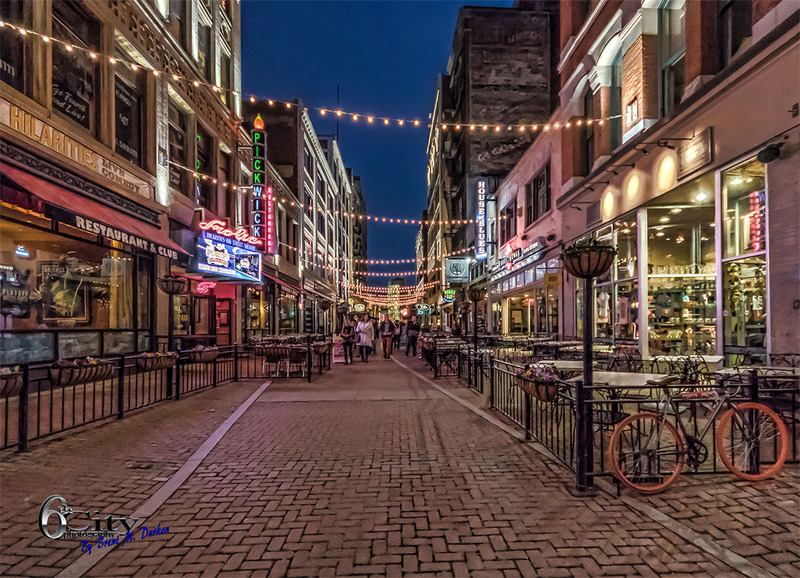 East 4th Street is a major downtown neighborhood in Cleveland, Ohio, known for its food and entertainment. The street runs between Euclid Avenue and Prospect Avenue. 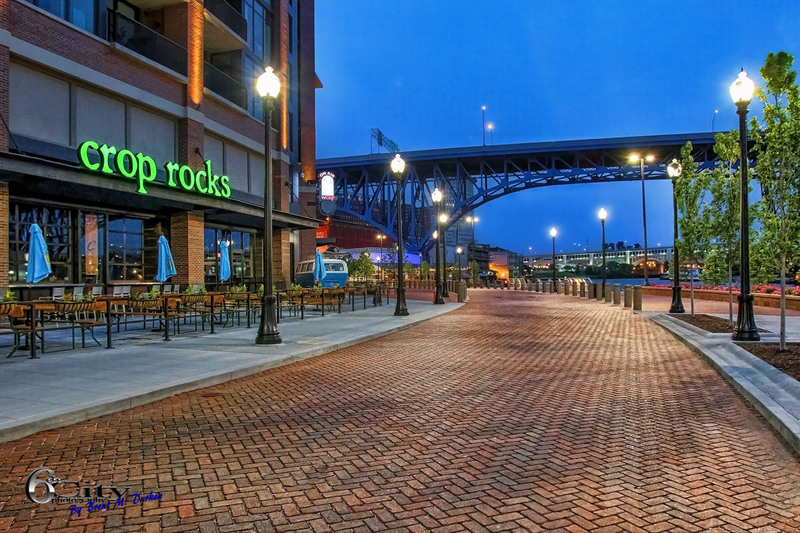 This area has become something of a trendy hangout and has become a destination for visitors to Cleveland. 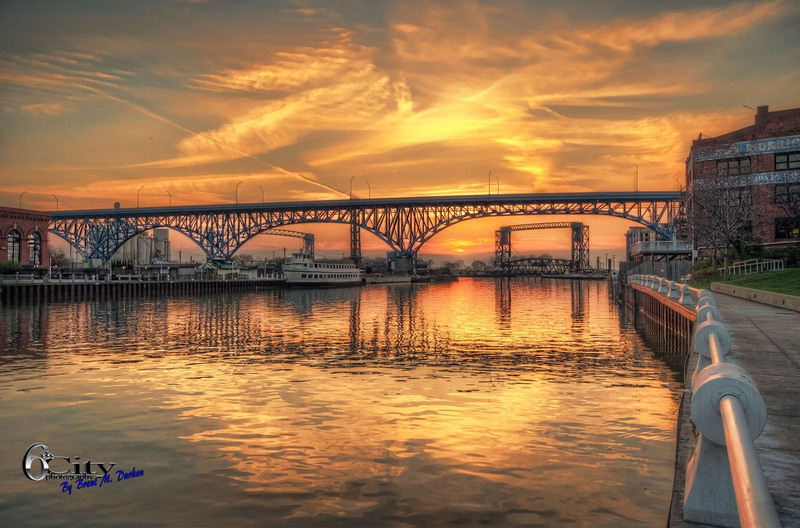 The area is home to many famous Cleveland restaurants, including The Greenhouse Tavern, Lola, Pickwick and Frolic and The House of Blues. The amazing old Cleveland Arcade is located just across Euclid Avenue from East 4th St. 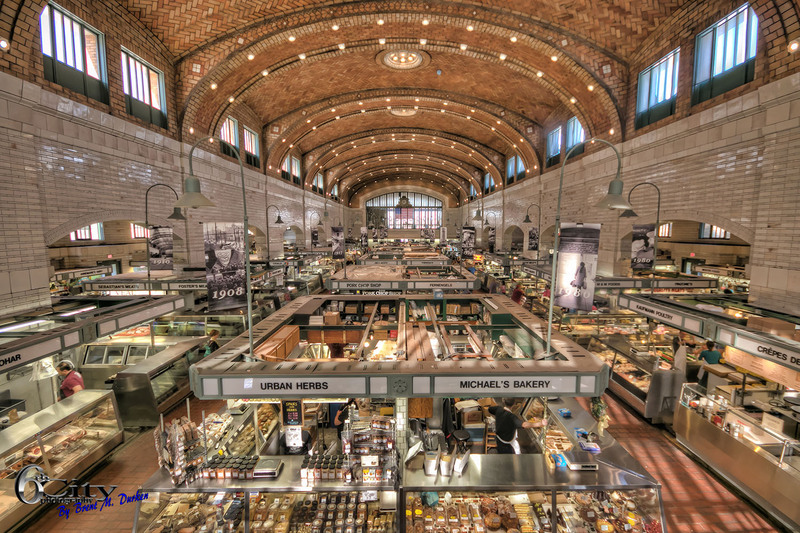 The West Side Market is Cleveland’s oldest public market and is home to over 100 vendors. These vendors offer fresh seafood, fruits, vegetables, meats, baked goods and more. It is located at the corner of West 25th Street and Lorain Avenue in the Ohio City neighborhood. 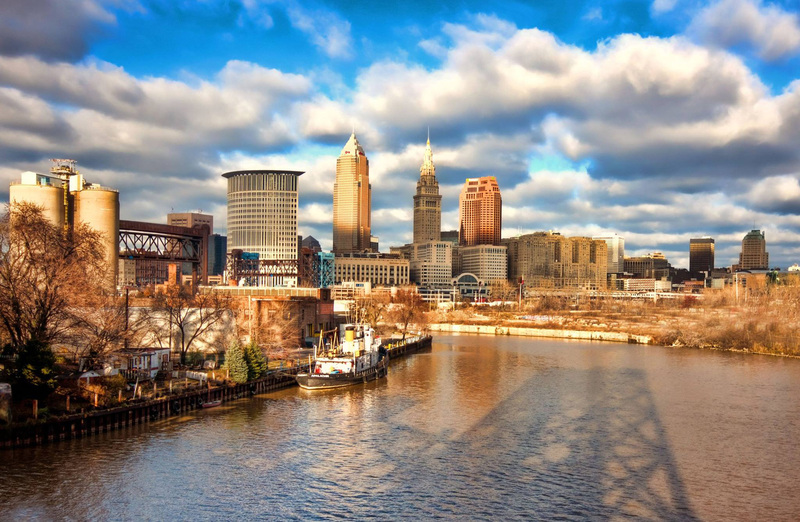 “Most residents of the neighborhood, and many Clevelanders in general, still do a large portion of their shopping at the Market. The market is open to customers Mondays and Wednesdays from 7:00 a.m. to 4:00 p.m., and Fridays and Saturdays from 7:00 a.m to 6:00 p.m. The market attracts tourists from all parts of the United States, who tour the market and learn about its history. Guided tours are offered. Its national profile has been boosted in recent years by coverage on various programs produced by the Travel Channel and Food Network. Many stalls have remained under individual family control for much of the life of the Market, in a few cases dating back to its 1912 opening. 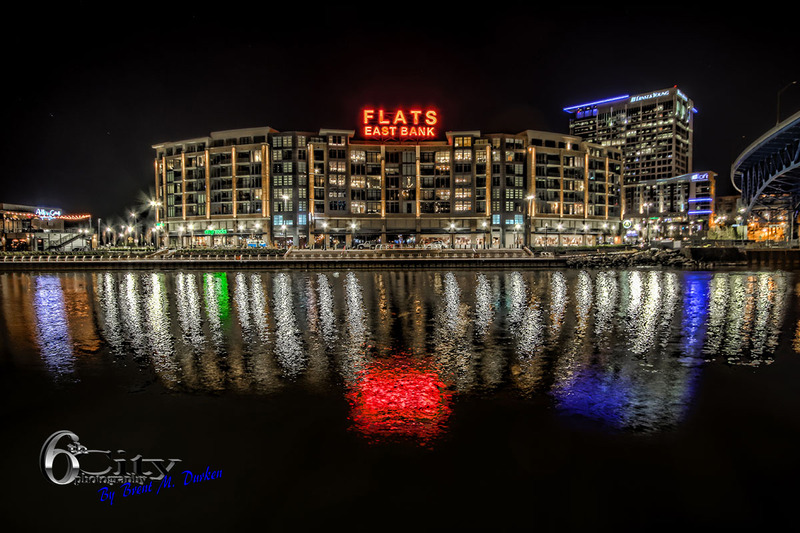 The market’s tenants and sellers reflect the cultural diversity of the surrounding neighborhood and Cleveland as a whole. The current roster of tenants includes those of Irish, German, Slovene, Italian, Greek, Polish, Russian, and Middle Eastern descents, among others.